The OpenBook portal is supposed to help fulfill that promise by making campaign finance records and active city contracts easy to search online. But try searching OpenBook for B-Three Solutions — the software firm that the city has paid millions, including for the police bureau’s most vital computer programs — and you won’t find anything. Similarly, search Pittsburgh City Council’s legislation portal for B-Three Solutions. Only two pieces of legislation show up: A resolution from 2017 approving an $11,200 software project and one from 2016 approving a $14,500 software project. Council regularly approves money for contractors and special projects, yet only a fraction of what the city has paid to B-Three since 2006 explicitly shows up on its radar. In reality, council has approved funding for several of the dozens of B-Three projects, but they were generally labeled as improvements to Public Safety systems. The city could not provide records of payments to B-Three dating between 2009 and 2006, when the city first started working with the company on the Automated Police Reporting System [APRS] — used by officers to file incident reports, track cases and store crime data. City Controller Michael Lamb, whose office maintains OpenBook, said he knew B-Three did a lot of work for the city. 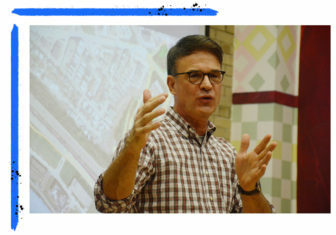 In two audits — in 2011 and in 2014 — he highlighted how the city’s overreliance on the company came with a big price tag. Still, it seemed that his concerns weren’t being taken seriously. That changed in 2015. Late that year, former Police Chief Cameron McLay asked the FBI to investigate the city’s relationship with B-Three. Peduto says he encouraged the FBI referral. The city is reporting that the resulting FBI investigation has been closed; the FBI will not confirm the status of any investigation. However, two city agencies are currently looking into the police bureau’s work with B-Three. “My recollection of B-Three was...that there were some suspicions about whether or not they were providing services for payment,” Peduto’s former chief of staff, Kevin Acklin, said in January. B-Three President Michael Walton said in January he could not comment on the company’s work for the city, citing a non-disclosure agreement. But on Feb. 14, he told PublicSource that any concern about B-Three not completing work was McLay’s fault. Walton said McLay ordered a halt to B-Three’s projects when he was with the city. “[The projects] were not implemented because the city stopped them. They were completed. They were not put into production. It's the city's responsibility," he said. With multiple investigations and awareness of B-Three at the highest levels of city government, how has the firm responsible for the police force’s critical IT system stayed so hidden from elected officials tasked with overseeing how taxpayer money is spent? With a nebulous state-approved contract, a council unaware of ongoing concerns, a city controller whose warnings weren’t heeded, and a mayor who took a hands-off approach to the matter, B-Three Solutions has been able to earn millions of dollars of taxpayer money with little scrutiny, all while building products that several sources say had problems. Despite B-Three having more than a decade of business with the city, the portal shows only two pieces of council legislation with B-Three’s name on it. One of the bills, from last spring, gave the Department of Innovation & Performance [I&P] approval to pay Plum-based B-Three for software to automate the city’s “clean and lien” program. The program is intended to allow several departments involved in cleaning up eyesore properties to more easily communicate. Aside from that $11,200 contract, and one more for an Office of Municipal Investigations [OMI] program, B-Three routinely earned council approval through less obvious means. Typically, when council considers resolutions on IT upgrades like B-Three’s and others, the funds are said to be for “...enhancements and upgrades to the City's public safety systems.” While that money goes to companies besides B-Three — public safety officials have recently spent it on upgrades for the city’s security cameras, for instance — B-Three operates the police department’s largest software system and several smaller programs. The APRS, for example, is the all-encompassing system Pittsburgh police officers use for their day-to-day work. Some members of council say they hadn’t heard complaints about B-Three’s work and have had no reason to question the company or the projects it’s done for the city. This process of oversight can miss problems and lead to major upheaval. One salient example involves police technology, in which a Pittsburgh police systems analyst pleaded guilty in 2012 to a federal conspiracy charge that she accepted money to help rig bids, favoring a specific vendor to install radios and computers in city police cars. She publicly blamed the scheme on former Police Chief Nathan Harper, who resigned amid an unrelated corruption investigation that eventually sent him to federal prison. The process, O’Connor said, relies on experts or department heads to take concerns to council members, who would then make decisions about whether or not to fund certain projects. “We negotiate the funding at the end of the day, but they’re the ones that see the system on a daily basis,” O’Connor said. Council President Bruce Kraus added that it would be rare for people in the various city departments to audit their own contracts. If there are misgivings about a contract, he said employees can come to council with concerns. “If a contract has gone awry and someone in a department feels that that’s not what they signed up for, so to speak, they would investigate and come to council,” he said. 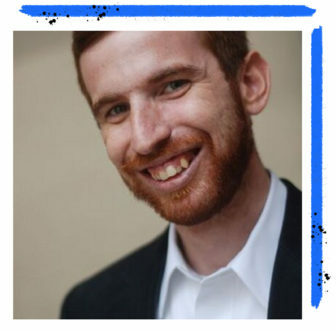 Dan Gilman, who’s now Peduto’s chief of staff but represented District 8 until January, said he had heard about B-Three “through the rumor mill” dating back to former Mayor Luke Ravenstahl’s administration. He said he hadn’t heard specific allegations of wrongdoing. Gilman said it’s typical for council to trust department heads and other experts when they advocate for projects at the city council table. Last spring, though, Gilman felt the need to ask about B-Three because council would soon be voting on funding a project by the company. Gilman said he had heard B-Three had been investigated, but didn’t know at what level. Acklin told PublicSource that Gilman approached him about B-Three and that he told Gilman there were no concerns about the company at that time. At council’s standing committee meeting following his mid-April conversation with Acklin, Gilman complained about sole-source contracts with IT vendors. Governments do sole-source contracts when it is believed that only one company is capable of providing a service. Gilman said sole-source contracts hold the city back, and the city should use more open-source software. The city has “got to get away” from using software that’s not open source, Gilman said. “In the changing world of technology, where you have so many companies doing so many amazing things, open source is so critical,” Gilman said. Gilman later voted to fund the B-Three project that prompted the conversation with Acklin. For his part, Peduto said he couldn’t recall the specifics of B-Three contracts approved during his time as a council member. “For the most part when council is discussing [contracts], they usually ask more about whether we are utilizing local businesses than on the specificities of the technology itself,” Peduto said. “Even if there was a mention of B-Three, I don’t think that anybody on council or anyone in Pittsburgh would have been looking at it as any different than any company.” He added that council would have assumed Public Safety officials “kicked the tires on it” to ensure the services were adequate. In a 2010 meeting, the City Information Systems [CIS] department, now I&P, requested $275,000 for upgrades to APRS. Peduto (then a District 8 councilman) and Councilwoman Natalia Rudiak praised the project, with Rudiak calling it “really cool,” but neither asked questions about the company behind APRS. B-Three’s name was never mentioned. CIS employee Tajuana Stephenson, who has defended B-Three’s work for the city as providing needed help, explained in a 2012 council meeting that APRS required “constant upgrades” and requested $200,000 from council. While Rudiak, Kraus and other members asked more detailed questions this time about how the money would be spent, no one else inquired about B-Three specifically. No one publicly pressed the issue further than that, despite invoices showing that B-Three has been paid $129,420 for two versions of the Daily Activity Report between 2009 and June 2017. Chatterji’s lawsuit alleges that the project is not complete. Other members of council did not return requests for comment on B-Three before publication. Over the years, B-Three has done its business with Pittsburgh mostly under the radar because the system that allows the city to hire contractors has major blind spots. B-Three’s contract with the city came about by way of the state’s Department of General Services, through its cooperative purchasing program COSTARS. Cooperative purchasing allows the state to pre-approve contracts with companies that provide items or services many government agencies need. Cooperative purchasing can help under-resourced agencies buy what they need and can let them skip a time-consuming bid process. 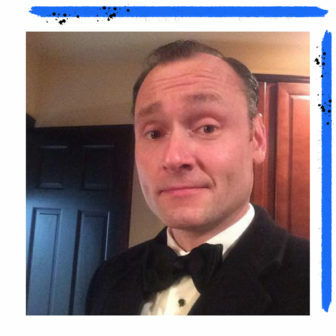 COSTARS also works between government agencies, not only the state. If Allegheny County, for example, put out a bid for rock salt, selected an approved company and negotiated a contract for it, Pittsburgh could “piggyback” on that contract and get rock salt for the same price from the same company without having to do all of the bureaucratic work. Cooperative purchasing can help save money, but it can also have the opposite effect, according to controller Lamb. He said governments, including Pittsburgh, often don’t put contracts out to bid in the first place. The city paid B-Three about $3,200 to design brochures for the mayor’s office in 2012 and 2013. The city paid B-Three about $9,000 to create posters for various city initiatives in 2012 and 2013. The city also paid B-Three more than $20,000 for web design and graphics for city council, Citiparks and the Pittsburgh Parking Authority. The city provided PublicSource with invoices that detailed B-Three’s hourly work for the city as well as statements of work prepared by B-Three, outlining the scopes and rates of major projects. B-Three’s COSTARS contract was valid through 2014 and was renewed again that year. While city council re-authorizes the city to use COSTARS contracts each year, it doesn’t approve individual contracts like B-Three’s. 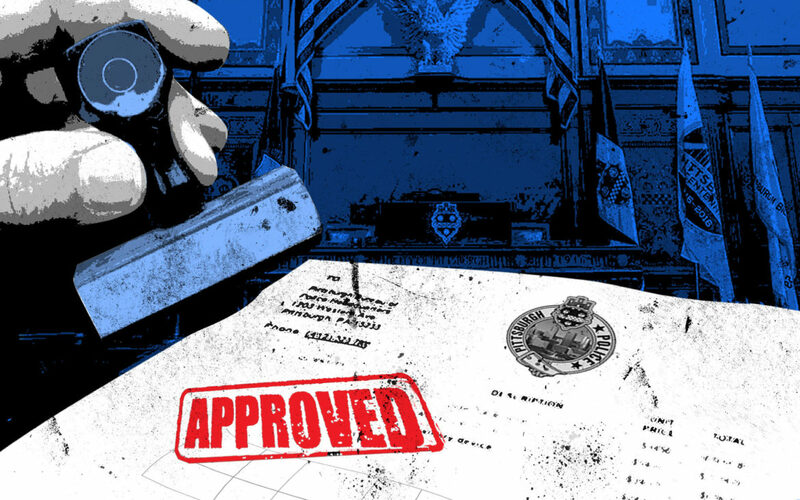 According to COSTARS administrators, the state doesn’t routinely inspect or investigate companies in its program once it vets and approves their contracts. It would be up to the city to raise a red flag about B-Three, they said. ‘Piggyback’ contracts are meant to provide municipalities with a lower-cost alternative and Lamb said that sometimes it works. Back in 2007, for example, the city needed to purchase office chairs. Allegheny County had recently done the same and had an existing contract. After putting out its own bid for new chairs and vetting the offers it got back from suppliers, the city decided it could get the best price by piggybacking on the county’s contract. That’s how piggyback contracts are supposed to work, Lamb said. Besides B-Three’s opaque contracts, the city’s own system for tracking the money it pays to contractors is lacking. Between the mid-1990s and now, the city has used two systems for maintaining its finances: PeopleSoft and J.D. Edwards. PeopleSoft came online in the mid-90s; at the time, the city had to license the software and buy regular upgrades, rather than pay an annual subscription fee to access updates as it is today. It was an inefficient system — the city trained its staff to learn the backend of PeopleSoft so they could update the software when needed. The city also needed to customize PeopleSoft’s software to fit its needs and, as its finances faltered and it entered into state oversight under Act 47, it couldn’t afford the custom upgrades. Problems peaked in 2009 when, during the week of April 4, the entire system crashed. For four days, checks couldn’t be cut and bills couldn’t be paid. The issue, though, never got outside attention because three police officers were shot and killed that same week. Without public scrutiny, the city continued to use the faulty system until 2011, when Lamb’s office struck a deal with Allegheny County to use its finance system, J.D. Edwards [JDE]. By the start of January 2012, the city had a new system for tracking its finances. But the data from PeopleSoft wasn’t compatible with the new system, so, according to what JDE can show, it’s as if none of the city’s finances existed prior to 2012. While I&P Director Lee Haller said his department is maintaining the data, it’s not easily accessible. The controller’s office provided payment data from the JDE system, but Haller directed PublicSource to file an open records request for data from the PeopleSoft system. The city maintains a cache of invoices going back to 2002 called Onbase, but those are merely scans of paper documents. Given the piecemeal nature of these systems and the legacy of handling its records, it’s difficult to track the money the city has paid to B-Three since 2006. The JDE system, too, has its limitations. The most glaring is its inability to incorporate the legislation city council passes. City council budget officer Bill Urbanic said he thinks JDE’s database should include a field for council legislation, so it’s possible to track when money was approved for spending and what it was ultimately spent on. Sam Ashbaugh, the city’s chief financial officer, confirmed that JDE doesn’t have a field for council legislation numbers but said that it’s possible to trace payments to city contracts and trace contracts to legislation. In the last seven years, Lamb has audited the departments charged with overseeing B-Three’s work twice and both times raised red flags about the city’s relationship with B-Three. But those warnings were rationalized; department heads argued that city employees couldn’t perform the work B-Three could. B-Three continued to perform hundreds of thousands of dollars of work for the city each year. In the 2011 audit, Lamb’s office noted that B-Three built and maintained nearly half of the systems the CIS department managed. The audit also noted that the city paid B-Three $667,540 in 2010 for various IT tasks. In response, Howard Stern, then the director of CIS, said the department routinely hires employees to maintain its software systems but often loses them quickly to the private sector. The 2011 audit also noted that B-Three’s contract did not include set rates and that the city was paying B-Three’s employees hourly rates of $75, $90 and $95. To ensure it was getting the best prices, Lamb’s report recommended putting B-Three’s contract out for an open bid. In the 2014 audit, the controller’s office said unnamed former city employees who had worked on B-Three’s systems had left the city to work for B-Three and then contracted with the city for higher pay. That report also noted that B-Three was often used to “‘pinch-hit’ in situations where a city employee is unavailable and that B-Three consultants were “on call” 24/7. In a response letter, former I&P Deputy Director James Sloss wrote that B-Three is only used when its specialized services are needed. City payment data shows that B-Three is still paid today at similar rates — $75 per hour or more. Lee Haller, the current director of I&P, told PublicSource that B-Three does needed work for the city. “In my experience, they’ve been responsive to our needs and have developed what we’ve asked them,” he said. In November 2015, about a year into his new post, McLay approached Peduto with serious concerns about how the city was conducting business with B-Three. Trusted staff had raised red flags about computer programs not working and cheaper options being ignored. McLay worried about the possibility of inappropriate ties between city and police employees with B-Three. How B-Three got paid for projects was also a point of concern. Officer Chatterji claims in his lawsuit that the city paid B-Three for projects that weren’t finished, and that some of those payments came from federal grant money, which raises the possibility of grant fraud. 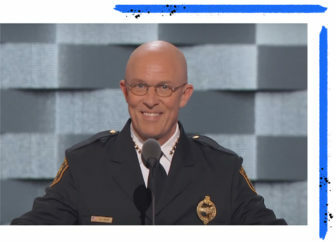 When McLay approached the mayor about the issue, Peduto said he immediately requested that matter be referred to the FBI. McLay had already done so. Acklin said he personally called an FBI agent the same day. 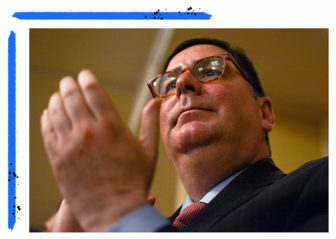 From that moment, Peduto said, he took a hands-off approach. McLay also initiated an internal investigation. Peduto said he was not informed of the the internal investigation at the time but had received a written correspondence in the last month that said a probe by OMI regarding B-Three is ongoing. He said he is hands-off in that process as well. Peduto said he has taken the initiative to re-evaluate the city’s IT systems. The multinational consulting firm Deloitte began assessing the city’s IT systems more than a year ago and, once it completes its report, Peduto said the city will begin to move toward a more comprehensive citywide IT system. Bringing in Deloitte, he said, was like a “control-alt-delete” that would allow the city to assess how its IT systems were performing. 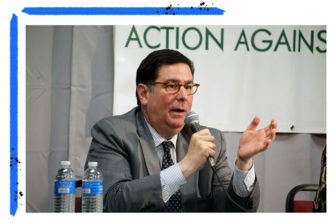 Peduto said patchwork systems like the one B-Three built have put the city at a disadvantage. 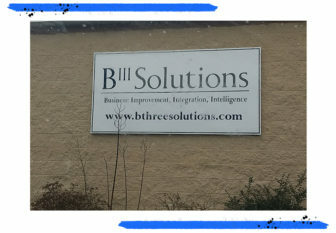 “B-Three is one example. I can give you five other examples in different departments where the same thing was happening: purchasing of software that wasn’t necessary, purchasing of software that was incompatible with working with other software,” he said.